A 2016 survey by Accenture Consulting found that more than half of millennials planned to install PV panels within the next five years, compared to only 18 percent of Baby Boomers who intended to do the same. Millennials came of age during the 1990s and early 2000s, when the U.S. environmental movement was near its peak. In addition to this affinity for solar panels, millennials expect new levels of convenience from their utilities providers, such as wanting easy online access to their accounts. They are also interested in smart homes, which integrate various technologies like networked thermostats to automate common functions. A separate report from Deloitte revealed that millennials were the age group most likely to be interested in solar power. Sixty percent of consumers said they would be willing to switch electricity providers if they could gain access to renewable energy sources. They also expressed willingness to tolerate 4 to 8 percent premiums on their bills for cleaner electricity. Inverters are like the brains of a solar implementation, converting DC into AC current that's usable by an electrical grid or off-grid storage system. Mountings (racks) determine where and how the PV panels are placed. For example, you might mount solar infrastructure on the roof of a commercial or residential building. Trackers are most common in larger solar deployments. They help the panels adjust to the changing position of the sun, leading to higher energy gains. Always consider buying the best inverters you can afford. These components are the most likely to have technical issues, so it pays to invest in quality. The costs of solar PV panels have plummeted over the long term, in turn transforming solar from a niche energy source into the most common renewable. Still, there's plenty of room for additional savings that make a solar PV upgrade worthwhile. For starters, there's the U.S. federal income tax credit, which allows a deduction of up to 30 percent of the cost of a solar installation from your taxes through 2019. After that, the deduction declines until reaching 10 percent in 2022, according to EnergySage. In some states, there is also the option to do Property Assessed Clean Energy (PACE) to help with solar project financing. Starting in 2020, California will become the first state to require solar panels on new construction, meaning that many millennials will someday live in residences that are already equipped for solar. Solar panels aren't one-size-fits-all. There are many configurations, including monocrystalline and polycrystalline variants, appropriate for different uses cases. Technologies such as black silicon have also become prominent in recent years due to their unique combination of high energy absorption rates and aesthetically pleasing designs. Consult with your vendor on which solar PV panels options are the best for your project. 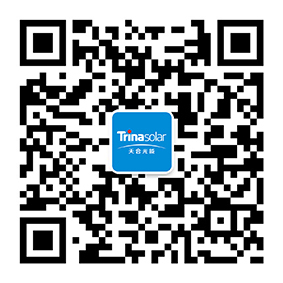 Trina Solar has pioneered solar products and smart energy solutions for more than 20 years. Take a look at our products and solutions page today to learn more about what we can deliver for you.